If you live near the area of Lapford and Crediton and need clutch repairs or replacements, you have come to the right place. We offer an affordable clutch replacement and repair service by professional fully trained mechanics at a great price. We have a state of the art garage here in Lapford and have everything needed to repair and replace clutches at a professional high-quality standard. How Can I Tell if I Need Clutch Repair? If you experience any of the following issues above we advise you to come down to our garage or give us a call for a free quote. 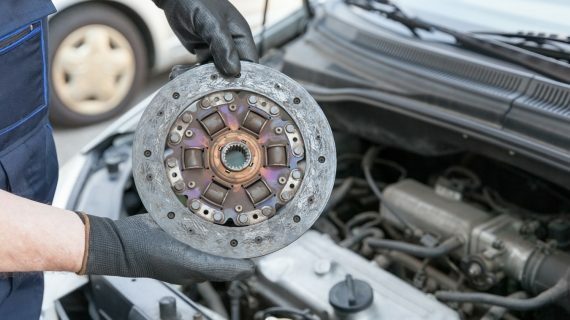 A worn clutch isn’t something to ignore and should be dealt with as soon possible before a larger unexpected cost comes. Our services are available on a whole range of different car manufacturers models. It doesn’t matter if you have an automatic or manual car. Here at Lapford Cross, we offer clutch services to both types of cars at a competitive price. We offer our clutch repair services for all makes and models of vehicle. If you are unsure about your vehicle, please give us a call for a free quote and more information about clutch replacements and repairs. For more information about our affordable clutch replacements or to book your car in, please call us on 01363 83373. We also offer MOTs, affordable car diagnostics, air conditioning servicing, tyre supply and fitting, exhaust repairs and brake repairs and replacements.